I am so amazed and humbled. I haven't been writing very long and to have six stories nominated had me walking on clouds for a week or more. 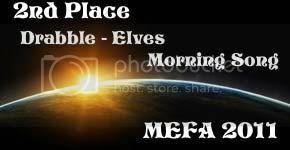 To have won Second Place in Drabble-Elves for my story "Morning Song" and also a Smaug's Treasure for the same story, I was almost in tears. 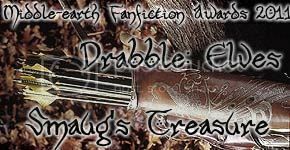 Thank you - thank every one of you who read my drabble and who reviewed. I .... am speechless.